A social skills camp specially designed to bring youth (ages 14-18) together to connect with peers and build friendships. Based on the PEERS® curriculum, this camp focuses on friendship skills and teaching important social behaviours that will enhance workplace readiness. 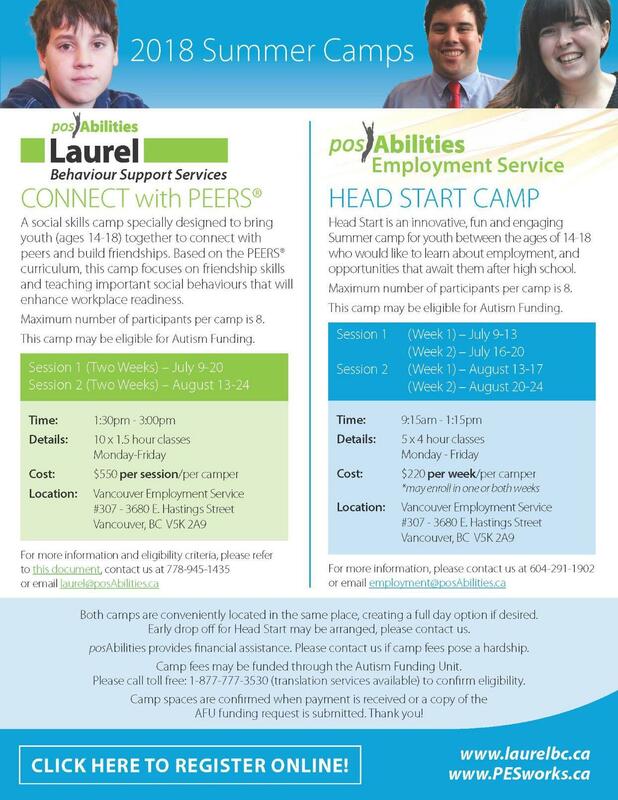 This camp is eligible for Autism Funding. This entry was posted on August 13, 2018 by Events Manager.